Your hands do a lot of work — don't they deserve some pampering? 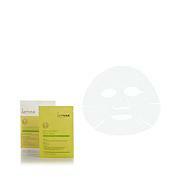 This sheet mask is designed for aging skin to deliver moisture and revitalize its appearance. Easy to use both at home and on the go, it's the beauty treatment for your hands that results in a younger-looking appearance. What a great luxury to have.